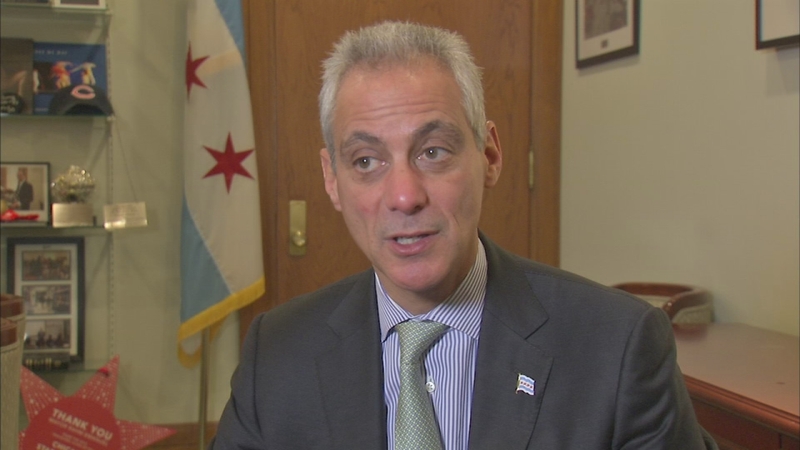 CHICAGO (WLS) -- Chicago homeowners are bracing for a large property tax increase after the city council approved Mayor Rahm Emanuel's budget. Like a lot of city residents, Jose Caraballo of the Belmont Craigin neighborhood wonders how he'll pay higher property taxes. "The city is going to have a bunch of houses empty," Caraballo said. The disabled laborer lives on social security, but bought his house in 2003. Now real estate pros tell him it's worth maybe half of the $267,000 he paid for it - yet, it's assessed at $350,000. "I wish I never buy my house," Caraballo said. He's not alone in feeling the pinch of a $7.8 billion city budget passed Wednesday that council veterans said was hard. "If it was a dollar to be found, I guarantee you we would have found it," said Ald. Carrie Austin, 34th Ward. Ald. Austin - the council's veteran budget committee chairman - predicted the massive increase in property taxes and new fees nearly a year ago. "None of this is easy! Absolutely none and I've lifted some heavy budgets and this one is about to wear me down," Austin said. To make a state-mandated payment to shore up the city's police and firefighters pensions and to fund school construction, the aldermen voted 35-15 to approve the $588 million property tax increase. "In my view, 35 people stood up, stood up for their city's future," said Mayor Rahm Emanuel. And to address the continuing operating budget deficit, the council okayed a $9.50 a month garbage pickup fee and new taxes on ride-sharing services like Uber and Lyft. "What do you think would happen in the City of Chicago if we don't take the steps today that we're taking?" said Ald. Pat O'Connor, 40th Ward. "I'm sad for the senior citizens who will get a property tax increase and will get a garbage fee in the mail," said Ald. Carlos Ramirez-Rosa, 35th Ward. The no votes includes several North Side alderman whose wards supported the mayor's re-election last spring. "I question are we doing everything in our power to shrink the size of government before we go and ask the homeowners to pay more?" said Ald. Harry Osterman, 48th Ward. The city's portion of property tax revenue eventually will increase 72 percent between now and 2019. It will mean an overall tax bill increase of 13 percent over the next four years. For each $250,000 of a home's appraised value, owners can expect a $500 annual increase in taxes. The mayor called it progress toward securing the city's future. "The City of Chicago's public finances are more secure, more stable and stronger today than they were before," Emanuel said. At a community meeting not far from Caraballo's home, renters know they're facing what are unsustainable increases as landlords pass on the tax increases. Carlos Ayala's salary is $1,260 per month. "We come here to this country to work hard," Ayala said. "It is getting hard for us." "I do not minimize what we just did in the sense of the burden, but I know there are other burdens far bigger and far worse if they weren't addressed," Emanuel said. The ordinance does not include any exemptions for lower-valued properties, nor does it include any rebates for low-income homeowners as have been previously discussed before Wednesday's vote. The Cook County Assessor's Office says that under the current proposal, residents would receive the first bill in February 2017 with payment due March 1, 2017. The second bill would go out in July 2017 with a due date of Aug. 1, 2017.